Back in 2002 I decided I wanted to be a financial planner. I was doing business coaching at the time (and still have several great biz coaching clients) and could see that financial planning was something my business owner clients really needed. I began my studies for the CERTIFIED FINANCIAL PLANNER™ designation and started working in a financial planning firm. While I thought clients needed a plan, from their perspective that need was not so clear. Even those that did engage in planning services ended up generally not following through on the plan. Hmmm. I’ve come to realize that having a financial plan is not the be-all and end-all of personal finance nirvana. While financial planning professionals (especially those with the CFP® marks after their name, like me) are trained that the plan is everything, the truth is it is only a tool; a very important – even critical – tool, but a tool just the same. Know Where You Are (Be Mindful and Accepting). Know Where You Want to Be – the more clear you are the better. 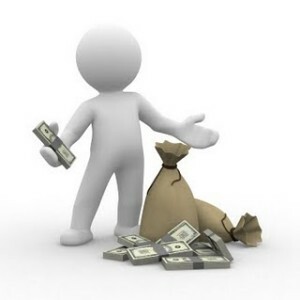 The financial plan simply outlines the best path at that moment that connects “Where You Are” to “Where You Want to Be” but it’s completely worthless if you don’t do something with it. — Yes, the traditional financial planning process does include the “Where You Are” and “Where You Want to Be” steps, but most financial plans fail miserably on that last “take action / be strategic and intentional” part … and a plan without action is worthless. — Financial plans are static – long winded documents that are out of date the second they are printed (because “Where You Are” changes over time). — They’re also filled with multiple action steps and confusing jargon. They are anything BUT simple … or fun. The final result is that the plan ends up being ignored: sitting in a dusty binder on a shelf somewhere while daily decisions are driven by whatever feels good in the moment, not what will work best in the long run. 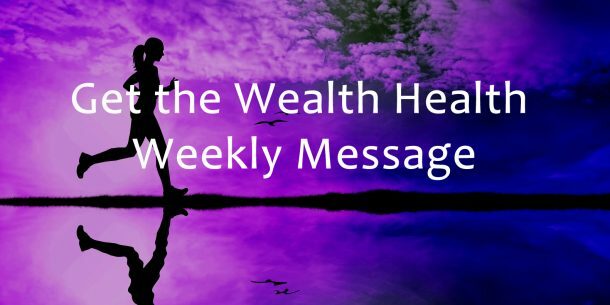 Ideally, the tool you use to improve your Wealth Health should be dynamic. It needs to adjust as you move along the path to Wealth Health. … and that’s basically it. It should be simple and compelling. I’ve worked with programmers, interns and developers and come up with the Wealth Health Plan Map. Admittedly, it’s a work in progress. It’s not perfect, but it’s a lot better than anything else out there … and you can get started at half price – just $97. Learn more at altuswealth.com/financial-plan-map/.